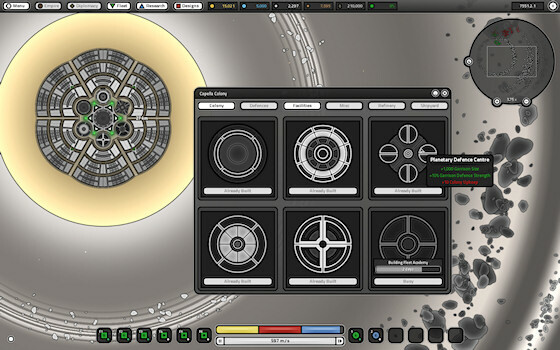 Galaxial is a real time 4X (explore, expand, exploit and exterminate) strategy game set in space. 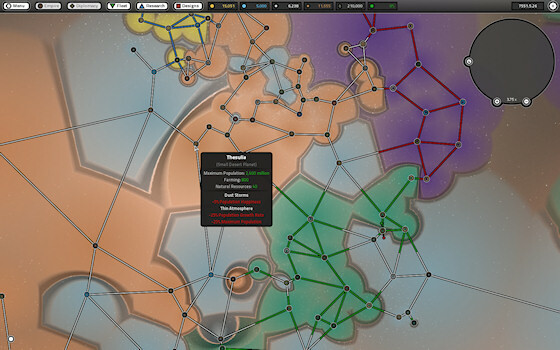 The player is given control of their own empire in the distant future, and are free to play the way they like using diplomatic, economic or military means of achieving their goals in a sandbox galaxy. Hi, sorry for the silence. The workload has been tough... but I have been quietly working hard on Galaxial over the past year. The project is still very much alive, and I have never come close to giving up on it! ...it is just ambitious for one developer, and is taking much longer than I thought it would. Here is a video of me playing around with the galaxy generator settings, as well as some other gameplay. Empire influence blobs show the controlled territory for each faction on the galaxy map. I'm quite pleased with how these look now. I made a number of loading screen and menu themes. I couldn't decide which one to use, so one is picked at random each time the game is run. It is also very simple to add your own. 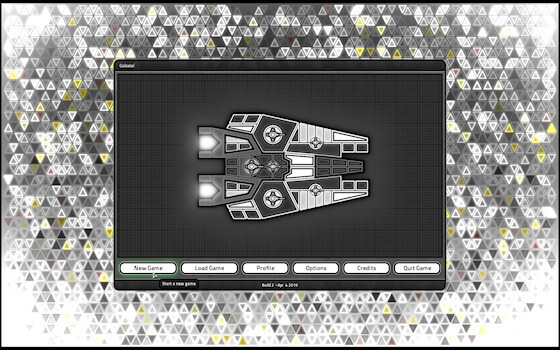 Latest development log showing the galaxy creator interface and some new ship designs. Development log explaining the changes to mining and some other recent progress. Development log showing the research system and some other recent progress. New Galaxial development log with a video showing some audio and projectile weapon stress testing. Nice to hear you're still working on it. This comment is still apt, even now. Project abandonned or verry hard working ? Still quietly working on it. I'm not going to abandon it. Not sure what the minimum system requirements will be yet. The game runs really well on older systems, so shouldn't be too demanding. A multi core CPU will be recommended. I like this idea of randomly generating universes! Where and when can I get this game?